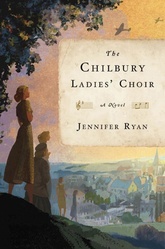 After all its men go off to World War II, a village choir in Kent, England, resurrects itself as a "ladies group" when a charismatic music teacher emboldens the village's women to carry on singing in the name of national pride. In letters and journals, we come to know the struggles of five choir members: a timid widow wracked with worry over her only son at the front; the older daughter of a local scion drawn to a rakish artist; her younger sister, pining over a young Jewish refugee from Czechoslovakia; and a conniving midwife plotting to outrun her seedy past. From village intrigue to matters of life and death, in turns funny, charming, and heart-wrenching, this novel illuminates the indomitable strength of women on the home front.